The MOST cable is the part I am unfamiliar with. Somewhere on here there was a link to the correct pieces, but I have searched and haven't been able to find it again. Any idea? Is anyone still offering the kits? I have a 2005 with sat nav and 6 disk changer and voice control. Just need the MOST loop, the D4 module, power/fuse, and the switches. hi, i am intrested if you would support ? A 1000 thank you's to Wiggs and others who have contributed useful data to this thread.. I have read and re-read all of the pages of this thread to make sure of the do's and don't of this retrofit install. I have successfully upgraded from the Nokia D3 BT to a FoMoCo D4 BT module. I mounted the D4 module to a plate and bolted that to the existing housing (see image below) in the left boot. TO ADD: I have powered the D4 Module by splicing into the Sirus Radio module's power. I don't use the Sirus Radio too expensive for what you can get from Pandora for music so I thought it wouldn't mind me taking its power source. Would have loved it this D4 upgrade could have displayed my iPhone X music library on the screen. I have read of a retro fit from a BMW BT Module that is supposed to work, has anybody done this upgrade? NOTE: Do not expect to remove just the power to the Siris completely and use it for power, otherwise you will disable the radio, nav, BT, etc. So a splice was necessary. I made a wiring harness after I followed the suggestion above and used a computer wire with a two pin connector as the basis of my wiring harness(complete with fuses). 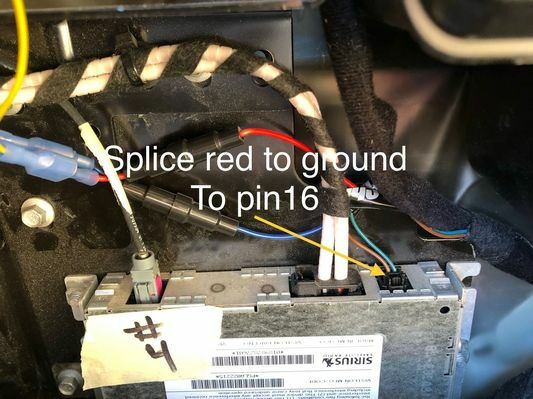 I used the RED wire from the Sirus power module as the Ground wire, and connected it to pin 16 on the D4 module. The Blue wire obviously was the battery power wire I spliced into, this tandem harness has to fit into pin 32. .
Plug in your harness into pin 16 (negative lead to pin 16)and battery/positive in pin 32 on the D4 module, The optical connector has the exact same harness as old D3 and will plug directly into the D4 module. Plug in the optical leads. Hi I’m a new member here and I’m changing the old Nokia Bluetooth module for the updated Jaguar XF module (same d4 ). Do you have the pin out connection details? Hope this helps, please post your results. What year is the jag module you are using. Thank you for posting this pin out. I followed the original pin out from your post of July 2010, it worked just fine. I am going to try to update my power supply to the D4 mod from the old D3 harness, in the pinout you are showing here. Well I tried this wiring diagram posted and it added static to the phone service, I don't know if I've read of others experiencing this static problem? Any suggestions would be appreciated, is it possible it's a grounding problem or do you think I got bad D4 Module? Q: Does a D3 with Logic7 and voice control but no telephone module/wheel switches have a MOST loop and power loom for the module already present in the rear quarter panel? 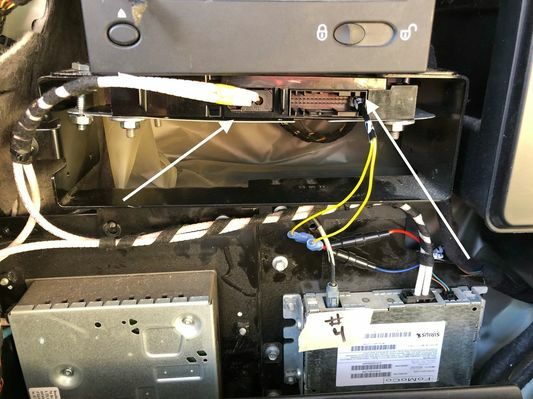 If yes, then the simplest solution would appear to be installation in that quarter panel with patch leads from the existing power loom? If no, then the simplest solution appears to be an installation behind the H-trim?